* What is MAH-LL.B 5 Years CET? * List of Law colleges in & around Mumbai? * What is the ideal time to start preparation for Mah-LL.B 5 Yrs ? Admission in law course is on the basis of Entrance Exam. There are various entrance exams conducted for admission in different colleges / universities. 12th appeared students are eligible for entrance exam. However, eligibility criteria for each entrance exam is different. The Law School Admission Test (LSAT) is an integral part of law school admission in the United States, Canada, and a growing number of other countries. The LSAT is designed specifically to assess key skills needed for success in law school, including reading comprehension, analytical reasoning, and logical reasoning. In 2016, Directorate of Technical Education, Maharashtra introduced a common entrance test, for students seeking admissions to the government law colleges in the state. The Directorate of Technical Education conducts the online exam to select students for the five year Integrated Law Program after class XII and three year law program after graduation. Every year, nearly 15,000 students appear for MH-CET (5-year Law). What is the difference between CLAT and MH-CET (Law)? 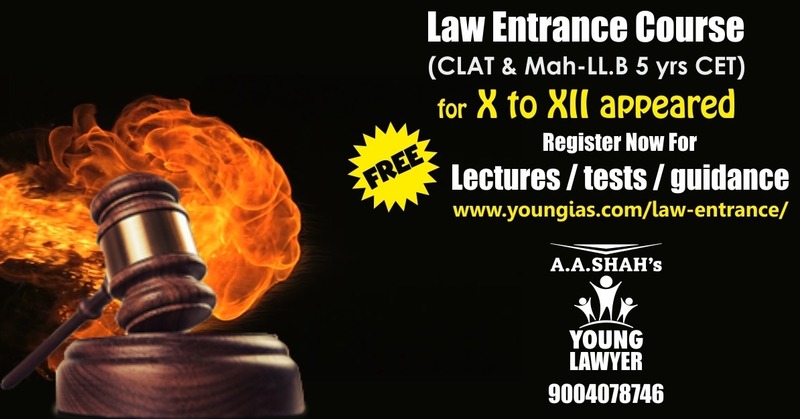 Common Law Admission Test (CLAT) is the most coveted of all the law entrances in India after Class XII. CLAT is conducted every year to select students for 21 National Law Universities in India, other than National Law University, Delhi, which conduct its own entrance test (AILET), to select the students. 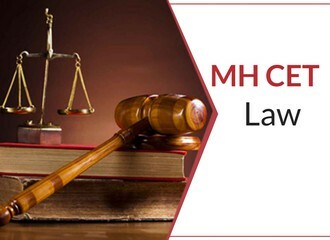 MH-CET (Law) is an entrance test for students seeking admissions to the law colleges in Maharashtra state. DTE conducts the online exam to select students for the five year Integrated Law Program after class XII and three year law program after graduation. What are the eligibility criteria for MH-CET (Law) for undergraduates? The Candidates passing SSC and HSC Examination from a recognized institution in Maharashtra State or the candidates passing equivalent examination (such as 11+1, A level in Senior Secondary School Leaving Certificate Course) from a recognized University of India or outside or from Secondary Board or equivalent, constituted or recognized by the Union or by a State Government, which is in Maharashtra. Eligibility Criteria for Maharashtra State Candidature Type. The Maharashtra State domiciled Candidate belonging to a particular Linguistic or Religious Minority Community from within the State and as notified by the Government are eligible under this Category. The Candidate who fulfills the conditions as defined in clause (n) of section 2 of the Act are eligible under this Category. The Foreign Student Candidates, as defined in clause (i) of section 2 of the Act, the Overseas Citizen of India (OCI) Candidate, as defined under clause (n) of rule 2 and Persons of Indian Origin (PIO) as defined in clause (o) of section 2 of the Act are eligible under this Category. The children of staff and officers of Jammu and Kashmir police engaged in combating terrorism; are eligible under this category. There is no upper age limit at present for admission to LLB-5 Yrs. Course in view of the cases pending in Hon. Supreme Court of India, and the order passed by the Hon. High Court, Bombay in W.P. No 3235 / 2016. The admissions to LLB-5 Yrs. Course will be subject to the final outcome of the various writ petitions pending before various Hon. Courts. Provided that, the applicants who have obtained 10+2 through Open/Distance system directly without having any basic qualification are not eligible. Further provided that, applicants who have obtained 10th std./ Secondary Schooling Certificate Examination, in a single sitting examination without having basic qualification (1st to 9th Standard of Schooling) is not eligible. 4. An applicant who has passed the 11th (old Pattern)/ 12th std./ Pre Degree Course (Old Pattern) examination from State / Central Boards of schooling or from Open Schooling System/ regular system recognized & established by the Govt. Of the State/India or International Board of School Education, after prosecuting the basic course of studies in the pattern of 1st to 10th standards in Regular mode, at Secondary Schooling is eligible for admission to five year Integrated LL.B. Course. 5. The qualifications of 10th, 12th (+2) and Graduation if applicable may be obtained through any mode (distance / correspondence / Open Schooling System). Note: The percentage of marks shall not be calculated by rounding off to nearest integer. 2. An applicant who have successfully completed Senior Secondary School course (‘+2’) or equivalent such as (11+1, ‘A’ level in Senior School Leaving Certificate Course) from a recognized University of India or outside or from Senior Secondary Board or equivalent, constituted or recognized by the Union or by a State Government or from any equivalent institution from a foreign country recognized by the Government of that country for the purpose of issue of qualifying certificate on successful completion of the Course Examination, with minimum of 45% Marks in aggregate. Provided that, the applicants who have obtained 10+2 through open distance system directly without having any basic qualification are not eligible. Further provided that, applicants who have obtained 10the std./ Secondary Schooling Certificate Examination, in a single sitting examination without having basic qualification (1st to 9th Standard of Schooling) is not eligible. 4. An applicant who has passed the 11th (Old Pattern)/ 12th std./ Pre -Degree Course (Old Pattern) Examination from State / Central Boards of schooling or from Open Schooling System/ regular system recognized & established by the Govt. Of the State/India or International Board of School Education, after prosecuting the basic course of studies in the pattern of 1st to 10th standards in Regular mode, at Secondary Schooling is eligible for admission to five year Integrated LL.B. Course. 5. The qualifications of 10th, 12th (+2) and Graduation, if applicable, may be obtained through any mode (Distance / Correspondence / Open schooling System). 1. An applicant who have successfully completed Senior Secondary School course (‘+2’) or equivalent such as (11+1, ‘A’ level in Senior School Leaving Certificate Course) from a recognized University of India or outside or from Senior Secondary Board or equivalent, constituted or recognized by the Union or by a State Government or from any equivalent institution from a foreign country recognized by the Government of that country for the purpose of issue of qualifying certificate on successful completion of the Course Examination, with minimum of 45% Marks in aggregate. 3. An applicant who has passed the 11th (old Pattern)/ 12th std./ Pre Degree Course (Old Pattern) examination from State / Central Boards of schooling or from Open Schooling System/ regular system recognized & established by the Govt. Of the State/India or International Board of School Education, after prosecuting the basic course of studies in the pattern of 1st to 10th standards in Regular mode, at Secondary Schooling is eligible for admission to five year Integrated LL.B. Course. 4. The qualifications of 10th, 12th (+2) and Graduation if applicable may be obtained through any mode (Distance / Correspondence / Open schooling System). What is the Exam Pattern of MH-CET (Law) LLB 5 Years Course (for 12th HSC appeared students)? 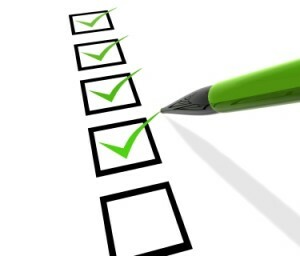 The Questions will be Objective Multiple Choice Questions with Four Options. The time allotted is 2 Hours i.e. One Hundred and Twenty Minutes. The Questions will be in English and Marathi. 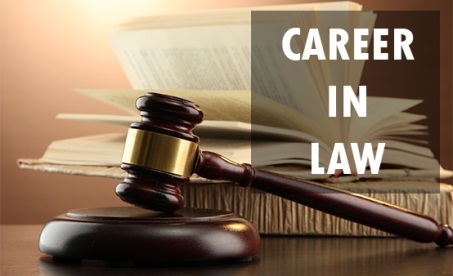 Legal Aptitude and Legal Reasoning: This section will test candidate’s interest towards the study of Law, Legal aptitude and problem solving ability. Questions will be framed with the help of legal prepositions and a set of facts to which the said prepositions have to be applied. Some prepositions may not be true in the real sense. Candidates will have to assume truth of these prepositions and answer the questions drawing well supported conclusions. General Knowledge with Current Affairs: The topics such as History(Ancient. Medieval and Modern), Geography, General Science, Economics, Civics, and the Current Affairs of the past One Year. The subject is to assess the knowledge of the recent happening and awareness of the world. Logical and Analytical Reasoning: The subject is to test the candidate’s ability to identify patterns, logical links and rectify illogical arguments. It will include wide analogies, completing arguments, drawing well supported conclusions, reasoning by analogy, applying principles or rules. Further the subject is to measure the ability to understand the structure relationship and to draw logical conclusions about the structures. It includes reasoning deductively from the set of statements and rules or principles that describes the relationship among persons, things or events. Mathematical Aptitude: This section is to test the numerical ability of candidates. The mathematics questions will be set from 10th Std. level of various topics including Profit and Loss, Speed and Distance, Time and Work, Algebra, Average, Venn Diagram. 1) Aggregate marks means the Grand Total of marks obtained by the candidate at the Certificate/ Diploma on which the Class/Grade is awarded by the Board/University. 2) In case the candidates are awarded Grades, /CGPA instead of marks , the conversion of Grade/CGPA to percentage of marks would be based on the formula/procedure certified by the Board/ University/Institution who has awarded the same. It is obligatory on the part of the candidate to bring the conversion certificate from the Board/ University/ Institution. Attention of the candidate is invited to the Notice No 3 available on the admission web site where in support based on problems faced by candidates is given. Is there any reservation in MH-CET (Law)? The percentage of seats reserved for candidates of backward class categories belonging to Maharashtra State only is as given below. The percentage of reservation is the percentage of seats available for Maharashtra Candidates, coming under the CAP. 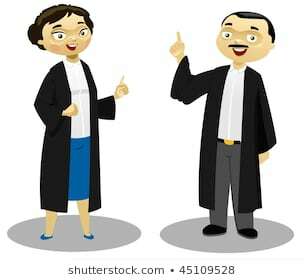 Backward class candidate shall claim the category to which they belong to at the time of submission of application form for CAP if they have the relevant documents required. (a) In case of the Castes NT-A, NT-B, NT-C, NT-D, OBC and SBC belonging to Maharashtra State, Candidates have to upload the Caste Certificate, Caste/Tribe validity Certificate and Non Creamy layer certificate valid up to 31 March 2019 while filling the on line application form for CAP. If Caste/Tribe validity Certificate and Non creamy layer certificate is not available, then candidate has to upload Receipt of application form submitted for obtaining Caste/Tribe Validity Certificate & Non Creamy Layer Certificate during the grievance period from 17th July 2018 to 20th July 2018. But Candidates will have to upload the Caste/Tribe validity Certificate and Non creamy layer certificate before the last date of Admission confirmation of the Second Round of Admission declared in the CAP schedule uploaded on the CAP website, otherwise candidate will be considered in Open Category. (b) Backward class candidates belonging to S.C./ S.T. from the State of Maharashtra candidates will have to upload the Caste Certificate & Caste/Tribe validity Certificate while filling the on line application form for CAP. If Caste/tribe Validity certificate is not available, then candidate will have to upload Receipt of application form submitted for obtaining Caste/Tribe Validity Certificate during the grievance period from 17th July 2018 to 20th July 2018. But Candidates will have to upload the Caste/Tribe validity Certificate and Non creamy layer certificate before the last date of Admission confirmation of the Second Round of Admission declared in the CAP schedule uploaded on the CAP website, otherwise Candidate will be considered in Open category. All Maharashtra State candidates belonging to Reserved Category will have to produce the Caste Certificate, Caste Validity Certificate & Non Creamy Layer Certificate at the time of documents verification for admission in admitting college to claim reserved category seat. If the candidates fail to submit the Non Creamy Layer Certificate and or Caste/Tribe Validity certificate before 18th August 2018, their admission will be cancelled by the system and the Admitting College and the candidates can apply as open category candidate and seek admission as Open Category in the Third and Institutional Round by doing necessary changes in the on line application form of CAP as per the schedule. (c) Candidates holding Caste certificate from any State other than Maharashtra will be considered as Open Category Candidate, if they have applied under reserved category for CET, they will have to pay the difference of Fee to migrate to Open Category. (d) Provision for Special Backward Class Candidates: Some of the castes under SBC category were earlier included in Other Backward Categories. Therefore, such SBC candidate shall be held eligible for reservation in the backward class in which they were included previously. (e) After implementing admission process by following the merit list, if some of the reserved seats remain vacant, and then SBC candidate will be given admission to fill up the seat on priority basis to the maximum limit of 2% of the total intake capacity. Five percent (5%) seats of the total sanctioned intake of an institute, subject to a maximum of five (5) seats in each institute coming under CAP shall be reserved for Children of Ex-service personnel who are Domiciled in Maharashtra State ( Def-1), Children of Active Service Personnel who are Domiciled in Maharashtra State(Def-2), Children of the Active Service Personnel (Def-3) who are transferred to Maharashtra State but are not Domiciled in Maharashtra State , or who are not domiciled in Maharashtra State but their families are stationed in Maharashtra State under the provision of retention of family accommodation at the last duty station on grounds of children’s education provided further that, such candidate should have appeared and passed the HSC examination from a school/college situated in the State of Maharashtra. These seats are within the sanctioned intake and are available as State Level seats. A combined single merit list of all eligible Def-1, Def-2 and Def-3 candidates shall be prepared. Candidates claiming these seats shall produce additional documents in Proforma C, D, and /or E as applicable. This provision is NOT available to the children of CIVILIAN STAFF who is working/ who has worked in the Indian Defense Service. 1% seats for Speech & Hearing impaired (deaf& dumb) candidates (P2). 1% seats for Orthopedic disorders, learning disabilities, Dyslexia, Dyscalculia, Dysgraphia, Spastic (P3). The allotment of seats reserved for the candidates with Disability shall be done on the basis of an inter-se merit of respective type of handicap of such candidates. These seats are available for Maharashtra domiciled candidates. The candidates claiming reservation under this category shall submit the certificates strictly as per the Proforma – F/F-1. Candidate with Disability should note that on admission to degree course they will not be given any exemption or additional facility in the academic activities other than those which may be provided by the respective Universities. As per Government Resolution No.OCC-2011/C.No.212/D-3Women and Child Development Department. Dated 2nd April 2018 1% Horizontal/Parallel reservation to the tune of 1% from Open Category Quota will be available to the candidates fulfilling the conditions 1), 2) and 3) given in the Government Resolution. The Candidate wishing to take benefit of this Reservation will have to upload the certificate duly issued by Regional Deputy Commissioner, Women and Child Development. following other rules mentioned in the Information Brochure. How merit list is prepared in MH-CET (Law)? 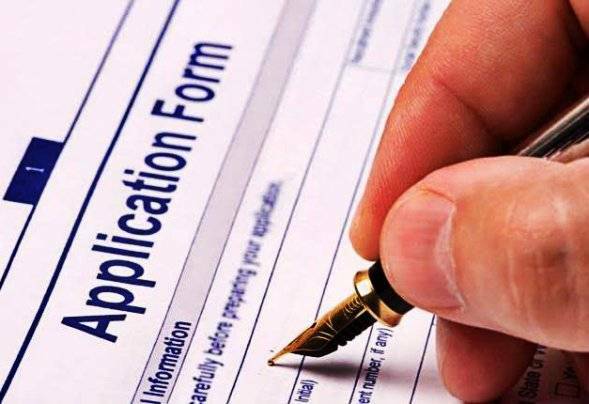 1.Assignment of Merit Number :- All the eligible Candidates who have submitted Application Form on or before the last date specified for the submission of Application Form for Admission through CAP shall be assigned a merit number. The merit list shall be prepared on the basis of CET Score or on the basis of marks obtained at qualifying examination, or any other criterion as specified in sub-section (3) of this rule. 2. Change of Marks due to verification: –If the marks in the qualifying examination are modified due to verification and the same is duly certified by the concerned Competent Authority or Board, the same shall be reported to the Competent Authority for admission through CAP or its designated representatives immediately. However, the effect of such change will be taken into consideration only or the subsequent round(s) of admission. Higher percentage of marks in English at SSC or equivalent examination. When to start preparation for MH-CET (Law)? The ideal time to start preparation for MH-CET (Law) is after your 10th Board Exam. You can apply for MH-CET (Law) after your 12th HSC Exam. So you will have almost 2 years to prepare for the exam. Hence the duration between your 10th Board Exam and 12th Board Exam is ideal for the preparation of MH-CET (Law) so that you will have an edge over other candidates in the examination. “A A Shah’s” is known for its sincere and dedicated approach in guiding, training and coaching its students. Having a team of experienced faculties and track record of completion of syllabus with proper revision and tests, A A Shah’s has emerged as a trend setter, starting from UPSC – Civil Services Exams to school level scholarship Exams. 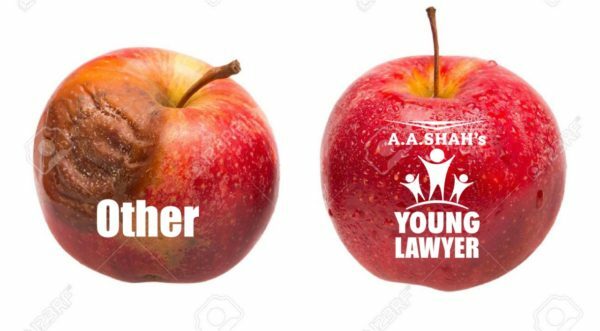 After looking into the plight of students aspiring for law courses and their exploitation by so-called big coaching classes, “A A Shah’s” has started Law Entrance Courses for CLAT and Mah-LL.B 5 Years CET for 10th, 11th, 12th appeared students, with an aim to provide the best coaching with personal attention and full support till the student gets admission in NLU/College of his/her choice.